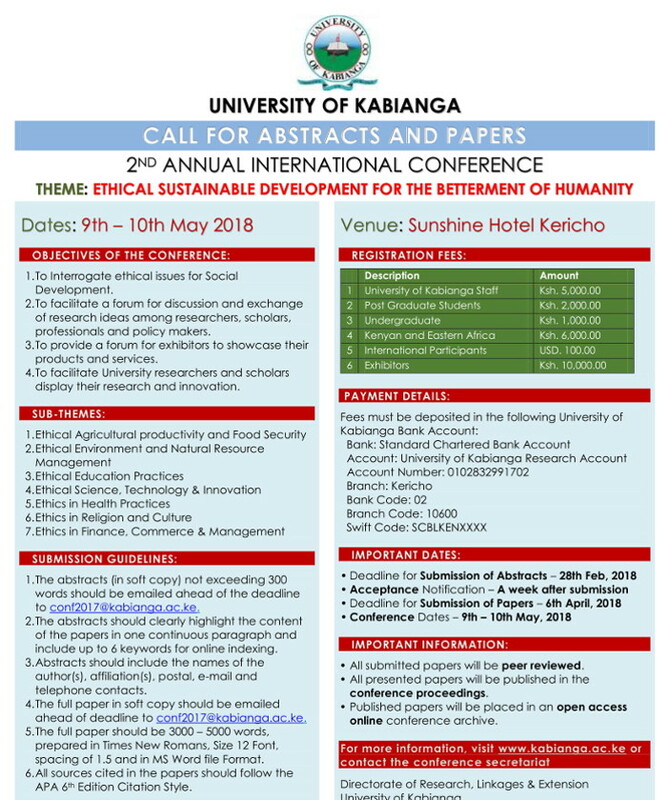 University of Kabianga 2nd Annual International Conference will be held on May 9 - 10, 2018 at the Sunshine Hotel, Kericho. The main theme of this conference is : "Ethical Sustainable Development for the Betterment of Humanity"
To interrogate ethical issues in research and innovation for empowerment and social development. To facilitate a forum for discussion and exchange of research output among researchers, scholars, professionals adn policy makers. To provide a forum for exhibitors to showcase their products and services. To enable University researchers and scholars display their research and innovation.